openbox9 has enjoyed over seven years of working closely with this passionate team of wildlife protectors on their visual branding efforts. We are continuously refining the visuals and establishing guidelines for the NWF’s 360+ staff to implement across regional offices and programs. This is a small sampling of the numerous websites we have designed. 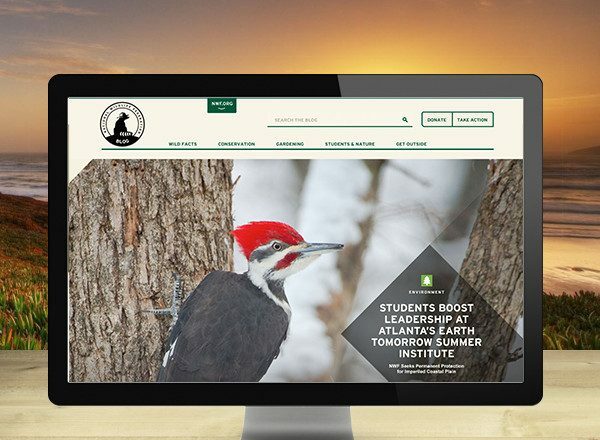 Our work does not stop at branding, we also assist NWF with fundraising efforts using Blackbuad’s Convio CRM system. Testing calls to actions, colors, and what donations forms yield the best conversion rates has led to a greater understanding of their audience, which enables them to effectively engage their supporters. 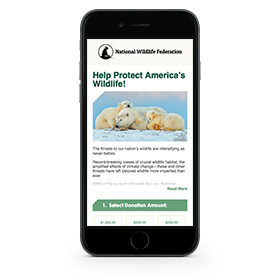 Including services such as interactive map development, our goal is to use all tools available to tell the story of the National Wildlife’s work.